Audi Nav Plus, Remote Central Locking, Electric Windows, Electric Heated Folding Mirrors,Reverse Park Sens,Full Heated Leather, Sport Button, Privacy Glass, Headlamp Wash, Flatbottom Leather M.F.S.W With Paddle Change,, AMI, Tailgate With Wash Wipe, 19" Black Gloss Alloys, Auto Lights & Wipers, Bose Etc. This advert is for an Audi RS3, click Audi RS3 in Elgin to see more cars like this in the local area. Want to search further afield? 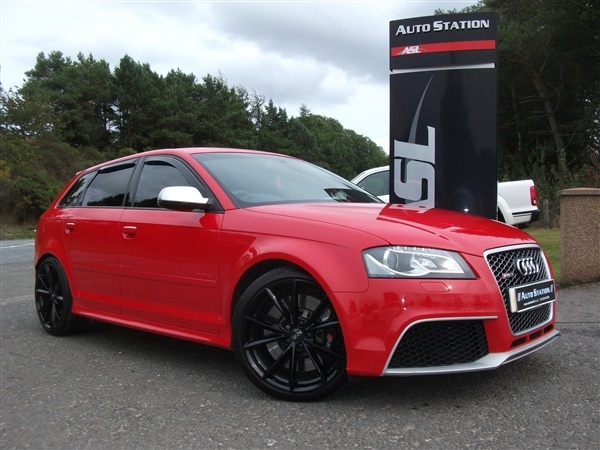 Click Audi RS3 in Morayshire to search for similar cars in the wider Morayshire area.